"It was such an unforgettable moment. Everything felt so wild and ALIVE in that tiny space." Over the years, Cork has developed a proud reputation as a city that is not afraid to experiment, an artistic landscape that sees no obvious distinction between her art, film and music "scenes". The success of the annual Sonic Vigils and the recent Days On End festival are testament to Leeside's openness to something new, something different without the "clique-ish" chains of pretension to hold it back. 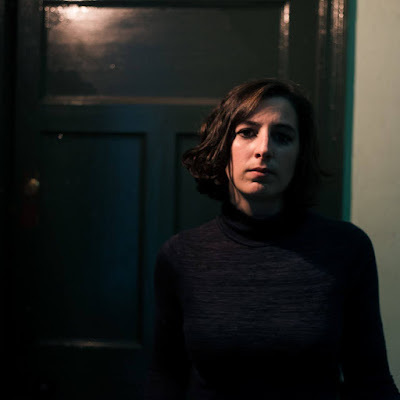 Black Sun has been fusing the experience of music, film and art together in Cork now since 2009, most recently inviting Yawning Chasm and Brigid Power Ryce to play within the walls of Plugd itself. 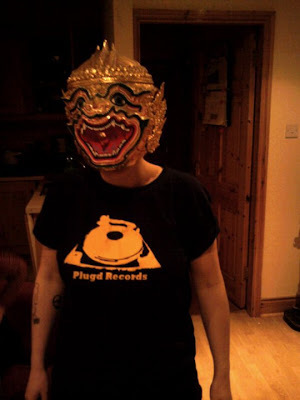 Curator Vicky Langan chats about what record stores mean to her. Loads! I moved from Galway to Cork eight years ago when I was just 17. I didn't know a single person in the whole city so it was really exciting discovering the place. The first time I set foot in the shop on Washington Street was when Ten Past Seven were having an in-store there. It was 2003, Out On A Limb were spewing forth and the place was wedged. I slipped in and leaned against the wall towards the back and remember the energy belted me something else. Not just Ten Past Seven, but everything, it was such an unforgettable moment. Everything felt so wild and ALIVE in that tiny space. I was starting this new life in Cork, all by myself, and even though I was just a kid, it felt like I had just found (out of the blue) some new kind of home. I always get a bitteen moved when I think back to that afternoon as I've discovered over the eight years that I've lived here now, that so many of my friends (and my partner-to-be) were all squeezed into the shop for that gig. We were probably standing shoulder to shoulder and we wouldn't even have known it. 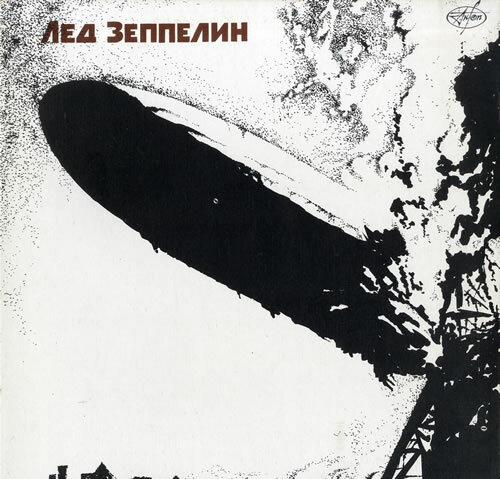 The first LP I bought there was the Russian edition of Led Zeppelin's first album. Myself and Aoife Barry of Sweet Oblivion used to have an irregular DJ night in Club One called Beautiful Maladies and I'm fairly sure I remember drunkenly thanking Jim profusely for keeping the record on hold for me at it one night, probably reeking of vodka and red bull and shouting over whatever Aoife was playing at the time. Seeing Woven Skull play there recently was an amazing experience, it just worked so perfectly. Inviting Yawning Chasm and Brigid Power Ryce down for a Black Sun in Plugd was a dream come true too. 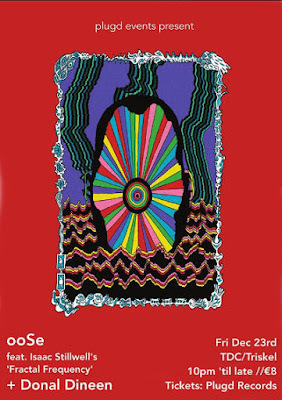 That same night, Mike Gangloff asked if myself and Dave (Raising Holy Sparks) would play something loose with him at the end of his set and that, was again another profound kind of experience for me, it had everything to do with the setting. There's something that hangs in the air in the place, it makes you feel comfortable, and welcome and at ease, with friends. There's nowhere like it. Record Store Day means a celebration of your locality, and the joint that's at the centre of it all, your local independent record store. If I was back home, I'd make it my business to hang out in Bell Book and Candle for a good lump of the day. Here in Cork, it's an excuse to celebrate Plugd. Last year, we skipped into town to check out the Triskel, Sugar Moon's cake in Gulpd, the crypt, Christchurch and of course, the shop upstairs. Sionnach (my daughter) fell asleep sitting on the record shelves during Toby Kaar's set so I had to retire to the couch and be slept on while all the action was happening around me. Most photos of friends taken from that day were at arse level as a result. Jim asked me to play some records at the Washington Street Record Store Day and there's some cute shots of the cub listening to whatever I was lining up. It means a lot to me that the store has always been a part of our family life. Like our 'Cheers' or whatever. That really hit me one day a few years ago when I was bumming around town with Sionnach and I asked her where we'd go next and she asked if we could go to Plugd. She's got her own little thing going on in there. She'll always want to tell Albert her bit of news (no more than the rest of us do) and she loves when she bumps into her friends Toby and Kim. Have you had a chance to look at the special limited editions that are set to be released especially for RSD12? Naw, I'm not into the fetish side of Record Store Day. There's plenty of stock in Plugd I want already. 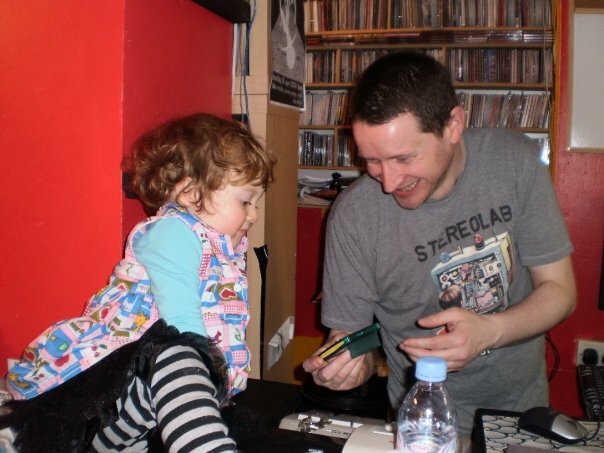 I think I'll try to grab a copy of the new Patrick Kelleher Do-Wop tape for Sionnach though.